The $6 billion ski resort industry, which had its worst season last year in two decades because of an unusually warm winter and record low snowfall, expects business to be better this year because forecasters expect more typical weather conditions throughout the U.S., according to the National Ski Areas Association. The reason is simple: Wintry weather tends to whet people’s appetite for skiing and snowboarding and mild weather doesn’t. Last year was a case in point. 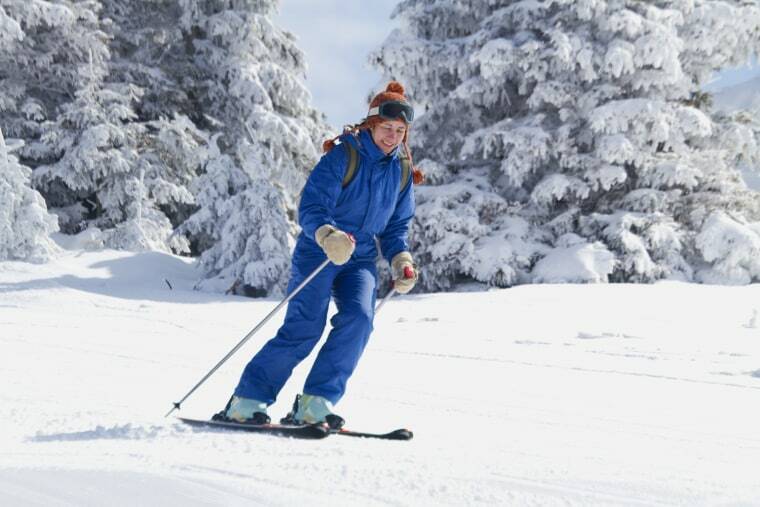 There were 51 million rider and skier visits to resorts, the lowest total since 1991/1992, according to a report provided by the association by RRC Associates Inc., a consulting firm. Equipment sales also plunged. “Most of the drop-off was attributable to the weather because the economy was basically the same over that two-year period,” said David Belin, RRC’s director of consulting services, in an interview. Makers of skiing and snowboarding equipment are still feeling the effects of last year’s slowdown. Orders for this season are down by as much as 50 percent this year because retailers have plenty of unsold inventory, said Kelly Davis, director of research of the SnowSports Industries America. “If we have a decent snow year, shelves could be empty by mid-January,” she said. Weather forecasters are expecting above-normal snowfall in the Northeast and parts of West, according to Accu-Weather. Big storms may come in January and February, which will cause headaches in major cities in the region but may inspire more people to hit the slopes. However, some resorts are taking no chances. Colorado’s Keystone Resort is allowing children under 12 years of age to ski and snowboard for free all season with a minimum stay of two days, an offer that its owner, Vail Resorts Inc., describes as “pretty unprecedented in the ski industry.” The promotion, which has no blackout dates, has helped attract new customers to the resort, the company announced. North Carolina’s Sugar Mountain Resort opened for business on Oct. 31, its earliest start ever, because of superstorm Sandy, which decimated the Jersey Shore and other parts of the Northeast, dumped about 9 inches of snow on the region. Wall Street sees better times ahead for the industry. Shares of Vail Resorts, which owns seven of the country’s largest resorts, are up more than 30 percent this year. Sales of season passes rose 17 percent over last year during the last quarter, according to the company’s latest earnings press release. The Broomfield. Colo.-based company, whose earnings fell 50 percent during fiscal 2012 because of the poor weather conditions, spent as much as $95 million on capital improvements ahead of the season. Bookings are up in terms of both room nights and revenue over the prior year. Vermont’s Killington Resort, which has the most skiable miles of any resort on the East Coast, opened for the season Monday, spokeswoman Sarah Thorson.